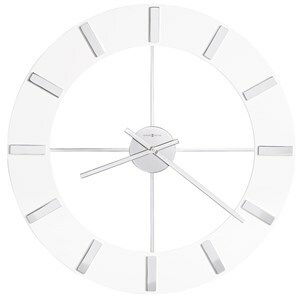 Soft, elegant and fine with detail, this round wall clock is sure to add a touch of elegant beauty to your home. The Moment in Time™ piece comes in an antique brass finish and features a dial is thoughtfully framed in an antique brass bezel, while a decorative antique brass pendulum swings below. 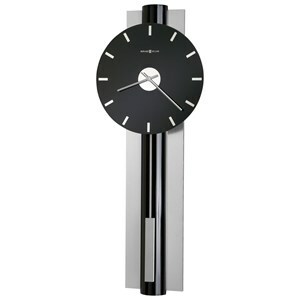 Plus, quartz movement with battery is also included. 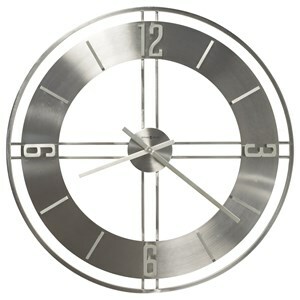 Adorn your home wall in quiet charm with help from this lovely clock. 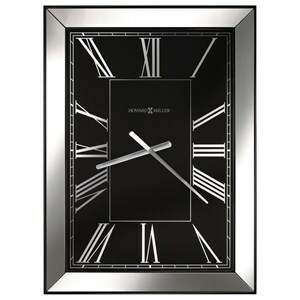 The 620 Savannah Botanical VII Wall Clock by Howard Miller at Stuckey Furniture in the Mt. Pleasant and Stuckey, South Carolina area. Product availability may vary. Contact us for the most current availability on this product. Pendulum Description Antique brass pendulum. 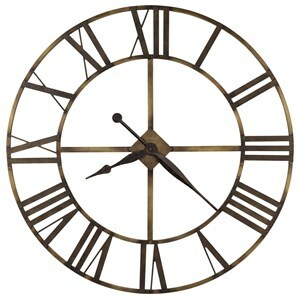 Finish & Paint Options Antique brass finish.